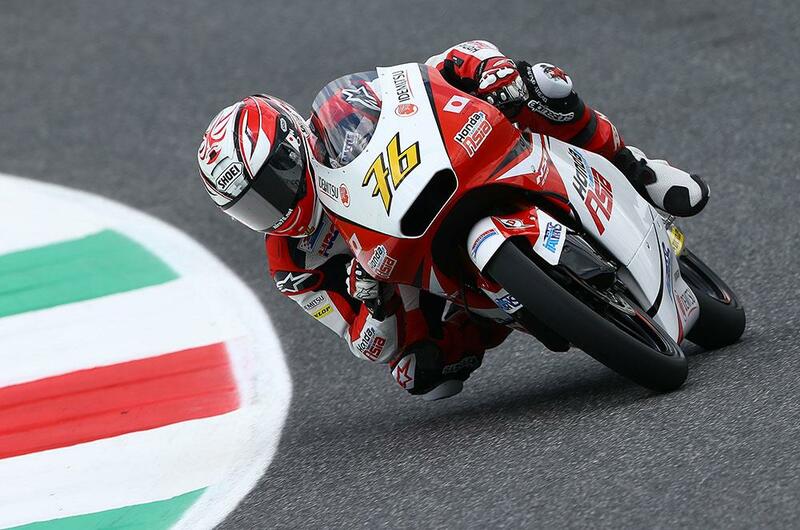 Japanese rider Hiroki Ono has finished the opening day in Mugello a surprise at the top of the time sheets, making the most of a track where he’s performed well in the past to finish the day a quarter of a second ahead of Francesco Bagnaia. With the morning session considerably slower thanks to a damp track, the Japanese rider was able to improve his time by ten seconds, to finish ahead of the Mahindra rider, with local rookie Fabio Di Giannantonio an equally impressive third. 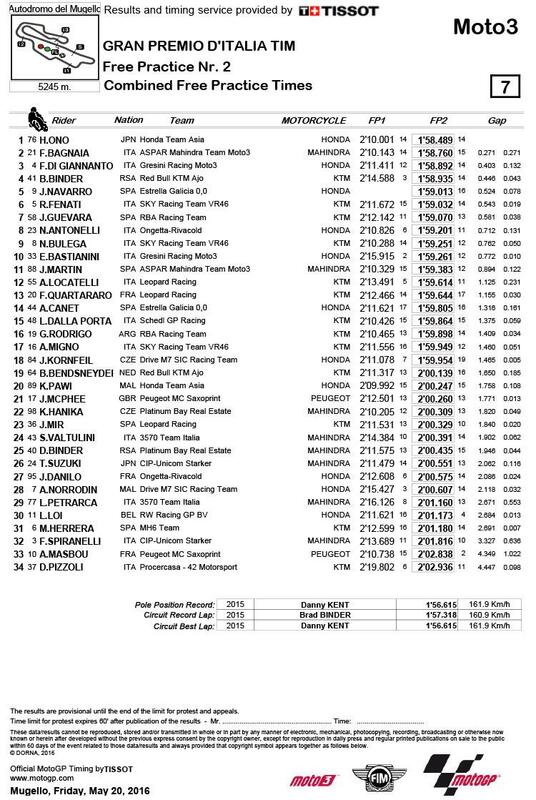 Championship leader Brad Binder was fourth, with Jorge Navarro fifth and Romano Fenati sixth to make it three Italians in the top six. Wet weather specialist and the morning’s fastest rider Khairul Idham Pawi finished the day in a distant 20th, just ahead of a strong showing from John McPhee on the underpowered Peugeot.